How long to be in Huayna Picchu? How long to stay in Huayna Picchu? Huayna Picchu is one of the most amazing destinations of the Wonder of the World. The entrance ticket allows to stay until 1 or 2 in the afternoon in Machu Picchu. That is why it is necessary to organize a visit to this adventure tourist attraction. Know how long to be in Waynapicchu and thus achieve the trip to Machu Picchu. Why is it worth climbing the Huayna Picchu? What does Huayna Picchu mean? What to see in the Huayna Picchu mountain? What ticket is needed to enter Huayna Picchu? 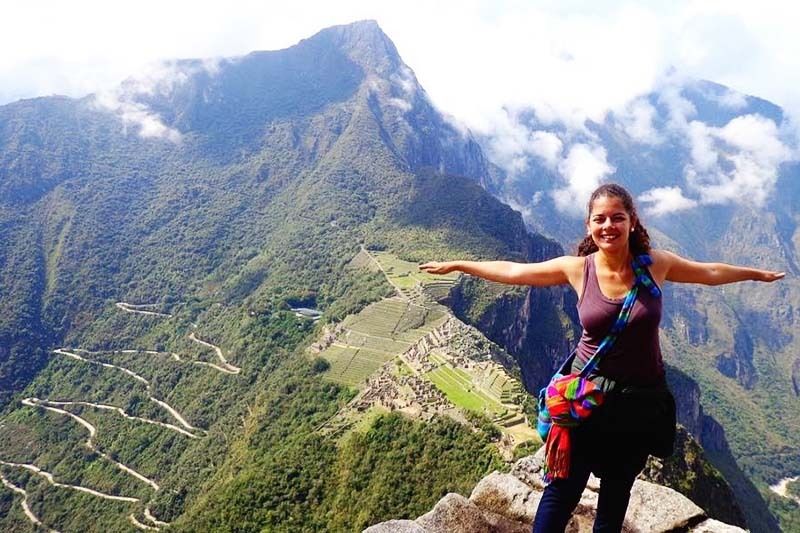 Huayna Picchu: How to organize the perfect trip? How to organize the time in Huayna Picchu and Machu Picchu? Is the Huayna Picchu mountain dangerous? What are the stairs of the death of Huayna Picchu? Huayna Picchu closes in February? Can you visit Huayna Picchu and Machu Picchu in 1 day? How is the weather in the Huayna Picchu mountain? Can you visit Huayna Picchu after the Inca Trail? Can you take drones to Huayna Picchu? The Huayna Picchu is the mountain that is north of Machu Picchu. It is the summit that stands out in the classic postcard of the Wonder of the World. It is located at 2,693 meters above sea level, 300 meters higher than the Inca citadel. On its roads is the Temple of the Moon, a religious site carved in stone. The Waynapicchu is one of the most requested adventures by the visitor. The climb to the top is considered one of the most incredible short walks in the world. Huayna Picchu is also known as Waynapicchu. On its roads is the famous Temple of the Moon. Huayna Picchu is a Quechua word that means ‘Young Mountain’. The amazing walk to the top – Climbing to the top of the Waynapicchu is a unique experience. Walk ancient trails built by the Incas hundreds of years ago. These roads are steep and are located next to frightening ravines. The beautiful landscapes from the top – Once on the top of the Waynapicchu, you can see the beautiful landscape of Machu Picchu as few people see it. Getting to the top is the greatest reward for the effort of the ascent. The Temple of the Moon – This Inca construction can only be seen in Huayna Picchu. It is built inside a natural cave. Its fine carved stone finishes and the mysteries that surround it, make this temple an important tourist attraction. Mountain Huayna Picchu Group 1: The entrance to the Inca Sanctuary of Machu Picchu is from 6 a.m. The entrance to Waynapicchu is 7 a.m. at 8 a.m. The tourist can stay a maximum of 7 hours from his entrance. Mountain Huayna Picchu Group 1: The entrance to the Inca Sanctuary of Machu Picchu is from 7 a.m. The entrance to Waynapicchu is 7 a.m. at 8 a.m. The tourist can stay a maximum of 7 hours from his entrance. Mountain Huayna Picchu Group 1: The entrance to the Inca Sanctuary of Machu Picchu is from 8 a.m. The entrance to Waynapicchu is 10:30 a.m. at 11:30 a.m. The tourist can stay a maximum of 6 hours from his entrance. How long can you stay in Huayna Picchu? The ascent – The ascent takes on average 1 hour. This depends on the physical condition of the visitor. Someone in good physical shape can do it in 45 minutes. At the top – The ideal time to be at the top is 30 minutes. During that period of time you should take the best photos. The descent – The descent takes 1 hour on average. It follows a different path to the climb that leads to the Temple of the Moon. The Temple of the Moon – During the descent you can visit the Temple of the Moon. The time needed to appreciate this attraction is 30 minutes. After traveling the roads of Huayna Picchu, there is still time to visit Machu Picchu. The tour of the Inca Citadel lasts at most another 3 hours. This must be done in the company of an authorized guide. Group 1: The first group enters Huayna Picchu from 6 am. It is recommended to use the first 3 hours to visit the mountain. The remaining time must know the Inca Citadel until 1 p.m.
Group 2: The second group enters Huayna Picchu from 7 am. It is recommended to travel Huayna Picchu during the first 3 hours. The remaining time should be used to travel the Waynapicchu until 2 p.m.
Group 3: The third group enters Machu Picchu from 8 a.m. It is recommended to visit the Inca City after admission. From 11.30 a.m. You can travel Huayna Picchu until the time of departure, at 2 p.m. The ticket to Huayna Picchu is the fastest one that runs out. It is necessary to reserve it months in advance. This especially if you plan to travel in high tourist season (from March to October). To fully enjoy Huayna Picchu it is advisable to rest the night before in the town of Aguas Calientes. This way you can enter the Inca Shrine at the first hour (06:00 am). It is advisable to ascend to the entrance gate to Machu Picchu with the available buses. Thus, it reserves the energy to travel the Wonder of the World in a good physical condition. In Machu Picchu, only a backpack with a maximum weight of 5 kilos is allowed with items such as: camera, hat, rain poncho, sun block, water bottle, snacks, light clothing, etc. Huayna Picchu has difficult and frightening roads. However, they are not dangerous. There are security personnel deployed in the mountains as well as security ropes. The ‘Stairs of death’ are a set of Inca steps arranged almost at the end of the way to the top of the Waynapicchu. Its name is not due to cases of tourists killed there but to the frightening that is to cross this stretch. No. Waynapicchu Mountain does not close at any time of the year except for emergency reasons. In February closes the 4-day trek route known as the Inca Trail. Yes. The ticket Machu Picchu + Huayna Picchu is designed so that both tourist attractions are visited in just one day. The climate in Huayna Picchu is mild. The days have temperatures between 19ºC. and 24ºC. The nights, between 10ºC. and 8ºC. The best time to visit the Inca Citadel is between May and August. Many tourists choose to visit Huayna Picchu after the Inca Trail. Although it is possible to do this adventure, you need to have a good physical condition to travel this attraction after 4 days of walking. The new rules arranged in Machu Picchu do not allow entry to Huayna Picchu with drones.